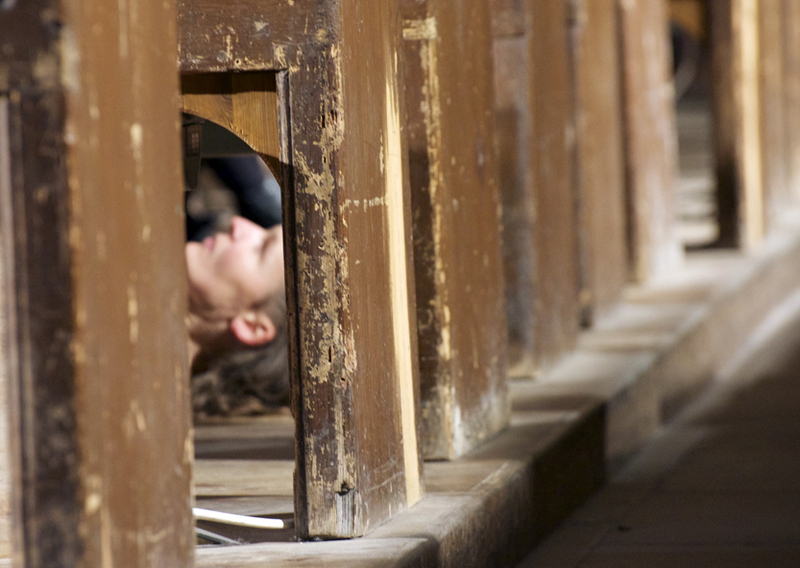 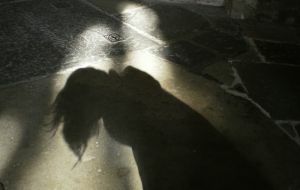 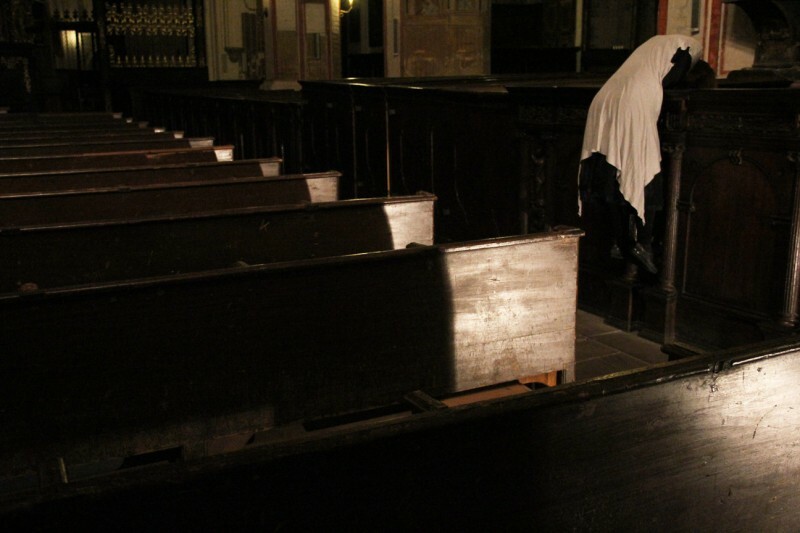 A site specific movement performance that takes place in the 13th century’s St.-Nikolai-Kirche. 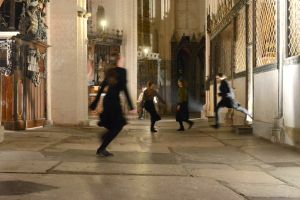 Dealing with the concept of reformation it invites the audience to approach a space that carries an established way of being with a new gaze while with the performing body demystified, the concept of ritual acquires a new substance. 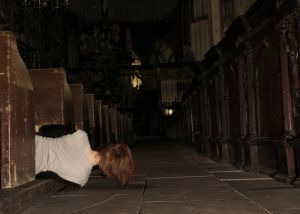 Typical features of gothic architecture such as verticality, high linear structures, play with perspective, expansive interior light allow new performative possibilities to emerge. 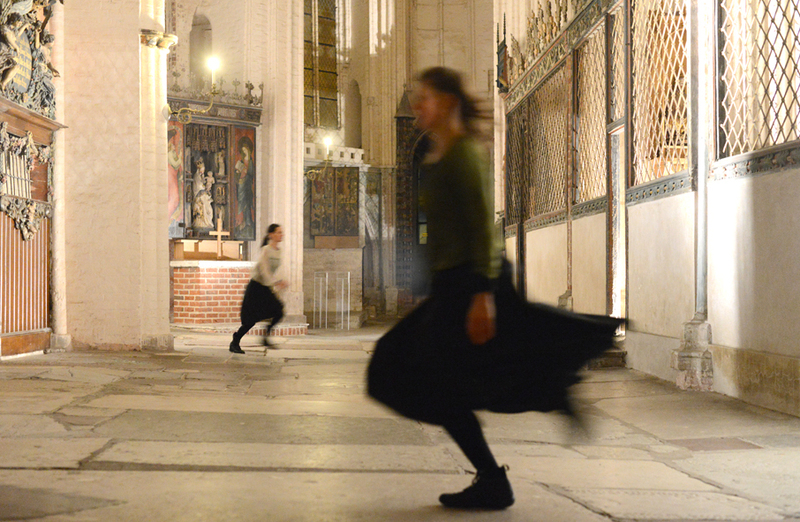 Movement that fills spaces and creates empty spaces to be filled. 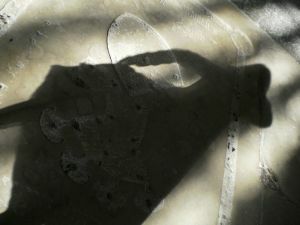 Minimalistic repetitive patterns which build a rhythm and unfold movement and perceptual echoes. 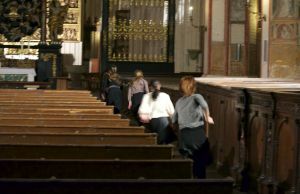 Set roles are being challenged as the audience is asked to interact and follow a performance that is moving itself at three different parts of the church. 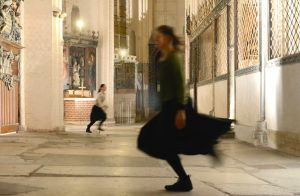 The project attains a community character as it is incorporated at the annual ceremony concert of protestant tradition aiming to offer a new viewpoint out of the conventional. 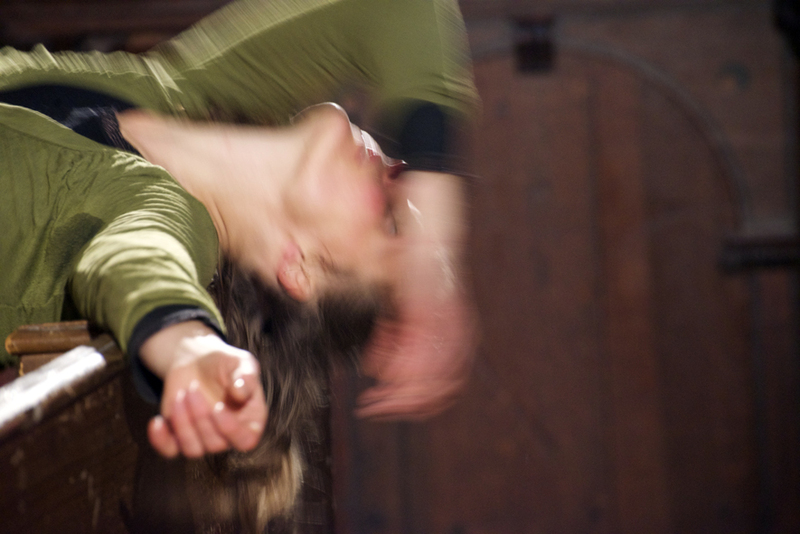 Dance art meets the community in a time and space of co-existence.